At Showcase Kitchens, we are capable of working within your specific parameters to create your perfect kitchen. Not every kitchen space is capable of having every single design feature, but all designers, including ours, love to use a number of different materials, appliances and designs. When it comes to our Long Island Kitchen Design team, these features tend to be extravagant, practical or both. Many of them, which includes fully or semi custom cabinetry, are vital in our mission to give you your ideal, unique kitchen. 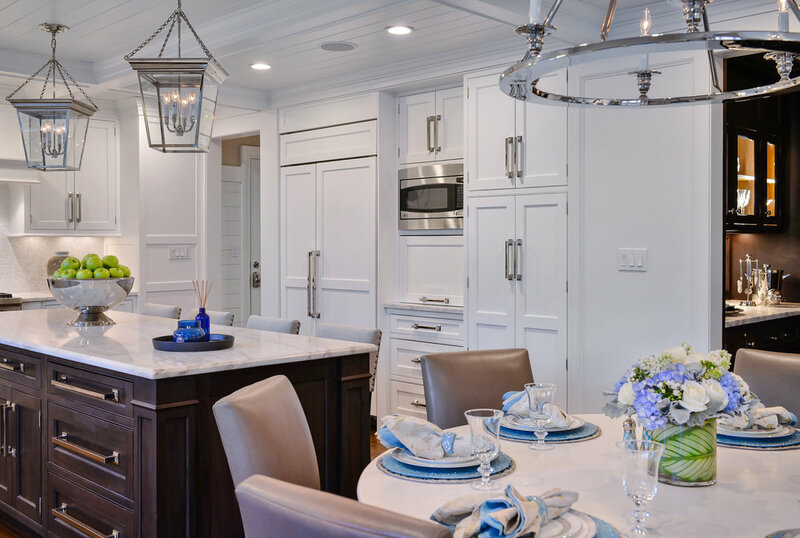 Yanic Simard, a Houzz contributor, design writer and tv personality, has detailed some of the materials, appliances and design trends that designers would love to utilize in their dream kitchen. His article, "11 Must-Haves in a Designer's Dream Kitchen" can be found here(link is external) or on Houzz. An excerpt from the piece can also be found below. Custom cabinets. Of course, those beautiful counters will need something on which to rest, so I might as well toss in some sleek custom cabinetry. Quartz counters. Quartz is a designer’s dream to work with for many reasons. It’s made using actual stone, so it echoes the natural appeal of materials such as granite or marble. But it is also processed and manufactured in ways that make it strong, nonporous and color-customizable to create many different looks with good color predictability (as opposed to a stone slab, which can contain more unexpected surprises compared with the sample). While granite counters get overexposed on real estate reality shows, quartz is definitely the new must-have for my dream home. Counter-depth refrigerators follow the line of a typical 24-inch-deep counter for a flush look, but beware: Some models sold as “counter depth” still stick out a bit past a typical counter when installed. Check the exact dimensions of a model you’re considering, and compare notes with your installer to make sure the lines will truly match up. Deep sink. While a fridge can sometimes be too big, I’m not sure the same can be said about a kitchen sink. Typical sinks are often around 8 inches deep, but a sink that is 10 inches deep or more (especially a wide one) makes for luxurious ease of use. Being able to easily fit a large pot fully inside the sink for filling or cleaning is very practical. Plus, if you do leave an item or two in the sink to be cleaned later (sitting on top of a perfectly fitted metal sink grate, of course), they won’t be visible in your seemingly bottomless sink.